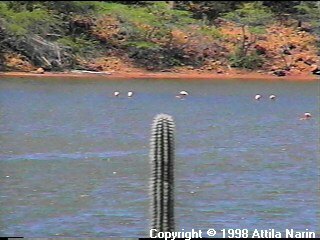 Introduction This page has been written by Attila Narin who lived on Curaçao from 1996 to 1998 and visited Aruba and Bonaire towards the end of that time for a few days. In other words, I know Curaçao much better than Aruba or Bonaire. For more about Curaçao, read Attila's Curaçao Page. Although all three islands are culturally and geographically closely related, each island has its unique characteristics. That's exactly what makes this comparison so interesting. Perhaps visitors might find this useful when trying to decide which island would be best suited to satisfy their vacation plans and dreams. This comparison is certainly not intended to criticize any of the islands. Enjoy! Feedback is always welcome! First Impressions When I first arrived in Curaçao in 1996, I immediately liked the water and the beaches, the palm trees, the mixture of tropical atmosphere and dryness at the same time, the cactus trees, and the Dutch influence. Curaçao didn't seem to be a major tourist attraction, but yet offered many great things to do and visit. 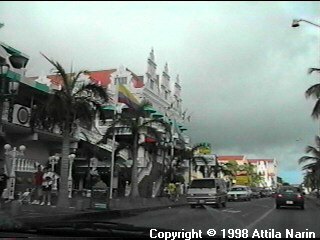 Arriving in Aruba, I thought I was in Little Miami: downtown Oranjestad seems to be a small version of Coconut Grove, with Palm trees, wider roads, flags, shopping malls, etc. Everything seemed brushed up and polished, ready for visitors from all over the world. Bonaire was a bit different. 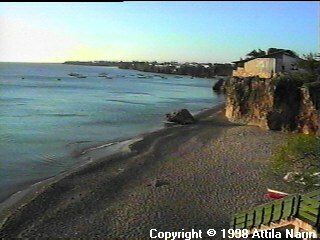 The airport is very small, the town is very small, and overall it seems to be a very quiet place with beautiful beaches and a nice scenery. General Facts Curaçao is the biggest of the three islands, both in population and size. About 150,000 people live in Curaçao and the island is about 3-8 miles wide and 40 miles long. 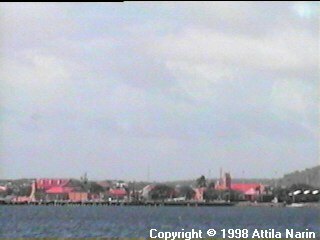 The main city is Willemstad. With a little over 80,000 people Aruba is the next biggest island in terms of population. The island is about 6 miles wide and 20 miles long. 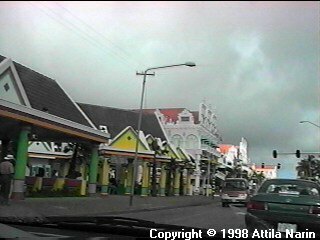 The main city is Oranjestad. Bonaire is a little larger than Aruba in terms of size. It has a width of 3-7 miles and is 24 miles long, but only a little over 15,000 people live there. The main city is Kralendijk. 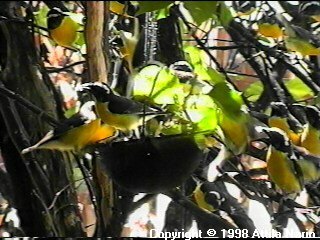 Location Aruba, Curaçao, and Bonaire are all located in the South Caribbean off the coast of Venezuela. Aruba is approximately 15 miles off the coast of Venezuela, Curaçao is about 40 miles north of Venezuela, and Bonaire is 50 miles away from Venezuela. Aruba is the western most island, Curaçao is located about 50 miles east of Aruba, and Bonaire is another 30 miles east of Curaçao. Aruba and Bonaire both are about a 20 minute flight from Curaçao, 30 minutes from Caracas, and 2 1/2 hours from Miami. 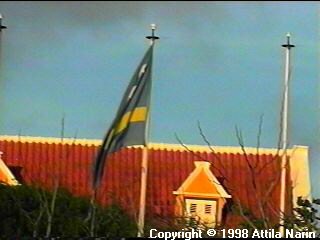 Political Status Until 1986 Aruba, Bonaire, and Curaçao together with St. Maarten, St. Eustatius and Saba made up the Netherlands Antilles, which is part of the Dutch Kingdom. 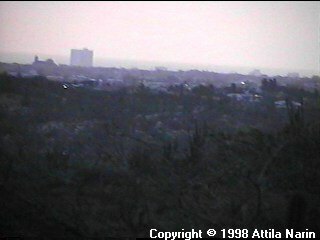 With the year 1986 Aruba became independent from the Netherlands Antilles, but is still a part of the Dutch Kingdom. 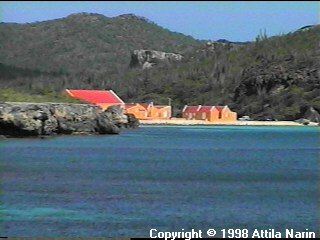 Today the Netherlands Antilles consists of the remaining five islands. The government seat of the Netherlands Antilles is in Curaçao and controls Bonaire and the other three islands. Economy Tourism is one of the biggest economies on all three islands. Aruba and Curaçao also have large refineries, Bonaire can store and load oil from larger onto smaller tankers. In addition, Bonaire produces rice and operates solar salt pans to extract salt out of the seawater. Curaçao has a fairly busy economy compared to the other islands, and one of the largest dry docks of the world is located there. Language On all three islands, Dutch is the official language. 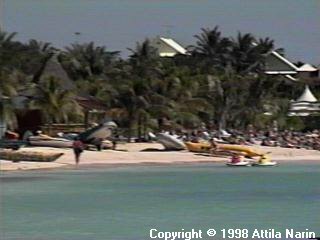 In Aruba, however, English seemed to dominate because of the many visitors from the U.S. and Canada. Next would be Papiamento, the local language, and then people speak Dutch and Spanish as well. On Curaçao, Papiamentu is mostly used among the local people, and Dutch is mostly used among the Dutch people and for official business. Local people, next to their Papiamentu will speak a little Dutch, English, and Spanish. Bonaire is similar to Curaçao, however, people seem to be a little more comfortable with English than they are in Curaçao. People Curaçao has mostly black inhabitants, which are the local people, and also some white Dutch settlers. In addition, people from other countries live here as well. Bonaire seems similar, but Aruba has more of a Latin influence and the complexion of the local people seems lighter than in Curaçao or Bonaire. Climate The climate on all three islands is more or less the same: it's hot and dry, yet a little humid. 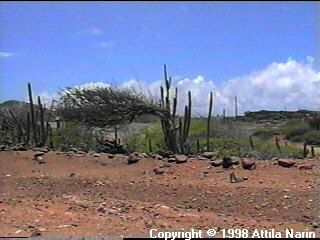 It seems to be a little less windy in Aruba, which might be due to the hills close to the northeastern coast of the island. All three islands are outside the hurricane belt. Nature The nature on all three islands is similar. 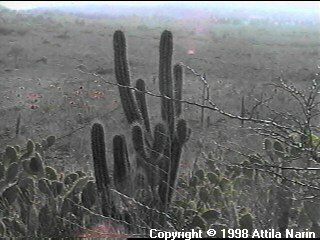 Cactus trees, rough and spiky bushes, and the famous Divi-divi trees can be found on each of the three islands. 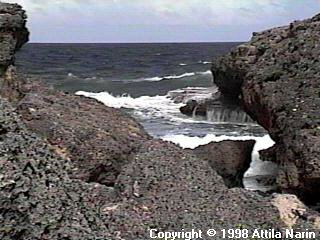 Aruba has some interesting rock formations, dunes, and some caves. 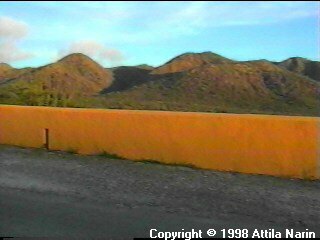 Curaçao also has caves, and the highest elevation of the three islands is there. Bonaire is perhaps the place with the nicest nature. It's famous for its tropical birds and its rich and colorful underwater world. 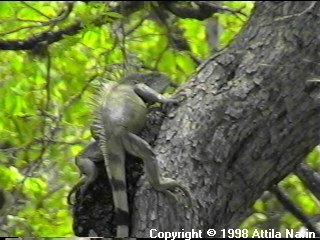 Aruba, Bonaire, and Curaçao all have nature parks, the Arikok Park, the Washington/Slagbaai Park, and the Christoffel Park, respectively. Wild goats are quite common on all three islands, in addition Aruba and especially Bonaire is the home of many wild donkeys as well. 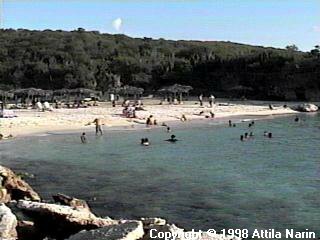 Beaches On Curaçao beaches are small sandy bays where the water has found a way into the rocky coast. 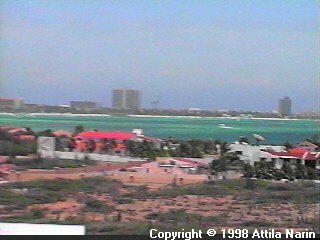 In addition to similar bays, Aruba has one long sandy beach (Eagle Beach) on its southwestern coast where the water is shallow quite a distance away from the shore. 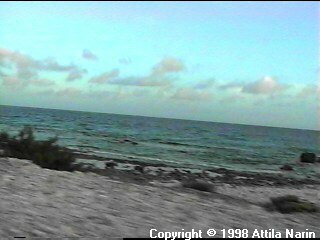 Bonaire also has very beautiful and sandy beaches, especially on the western shore of the southern part of the island. Pink Beach is a favorite with beautiful white (actually, pink) sand and palm trees, perfect for swimming and playing in the water. 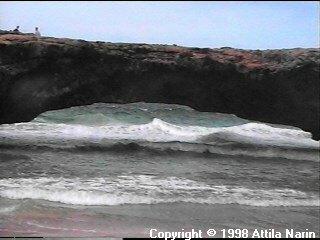 Just about all of the beaches on all three islands are located on the southwestern shores of the islands, as the winds push the rough sea against the rocky northeastern shores of the islands. 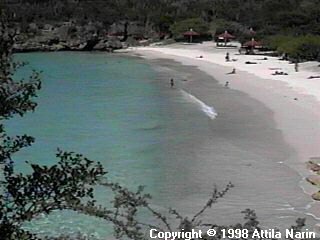 Curaçao seems to be the only island with beaches that charge entrance, which then have facilities and perhaps a small restaurant etc. 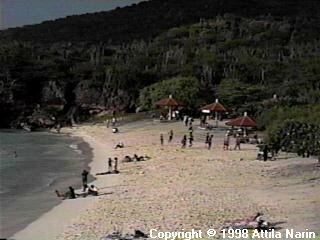 On Bonaire and Aruba, all beaches seem to be public (except for beaches inside the Washington Park in Bonaire). Snorkeling and Scuba Diving Snorkeling and Scuba Diving are best in Bonaire. The island has over fifty designated dive spots, and the underwater world is protected by the law. Every diver has to do an orientation dive with a dive instructor and purchase an admission ticket to the underwater park, which is good for one year. Klein Bonaire, a small island located about a mile off the coast of Kralendijk, is a popular spot for boat dives. It is strictly forbidden to remove or touch anything under water. Snorkeling is equally amazing and many beaches are great for snorkeling. Curaçao is probably second in line, with many dive spots. Boat dives are also very popular; however, it will probably take more time to get to and from the dive spot due to the size of the island. Klein Curaçao is a small island beyond the eastern point of Curaçao and it is also a favorite for boat dives. Aruba is certainly above average to many beaches in the world, but in my opinion Curaçao and especially Bonaire offer better diving and snorkeling. Sightseeing All three islands have a variety of sights to see, things to do, and places to go, with a nice balance of nature, history, and culture. 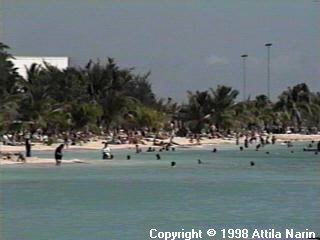 Of course, beaches, the underwater world, and shopping are a prime attraction, but they are discussed in their own sections. Curaçao and Aruba both have caves that people can look at. In Curaçao the main caves are the Hato Caves and Boca Tabla. 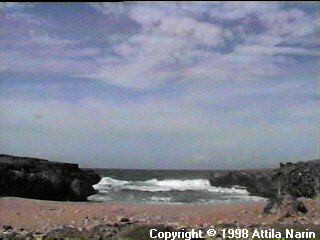 Aruba has some caves on the southeastern side of the island, e.g. the Tunnel Of Love and others. 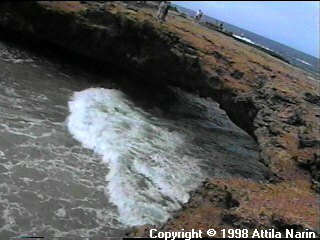 In addition, a "Natural Bridge" is located in Aruba and is a main attraction. 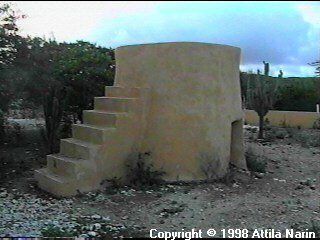 Landhouses are attractions in Bonaire and especially Curaçao. 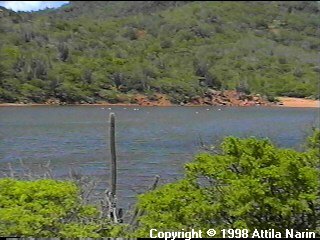 Aruba has some abandoned coalmines that people can look at. 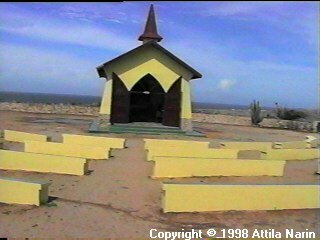 The chapel on the northeastern part of the island is another point of interest in Aruba that people like to look at. The Dutch architecture of buildings, forts, and bridges are especially noticeable in Curaçao: downtown Punda, renovated old houses of Otrobanda, the Emma bridge, Fort Nassau, Fort Amsterdam and more. Kralendijk is a lot smaller, but the same style of architecture is visible. 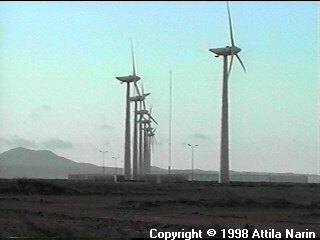 Aruba has not so many buildings and forts etc., but they do have a very Dutch windmill. Overall, I think Curaçao has the most things to look at, probably because it's the biggest of the three islands. Restaurants Restaurants on Aruba, Bonaire, and Curaçao come in several flavors. Besides the fresh sea food, there is the European cuisine, American food, local food, and so called snacks and fast food restaurants. Aruba has the widest selection of American food. Many popular food chains have restaurants in Aruba, e.g. The Outback Steakhouse, Tony Roma's rib place, Hooters, Wendy's, McDonalds (also in Curaçao), Subway (also in Curaçao and Bonaire), Taco Bell, and many others. 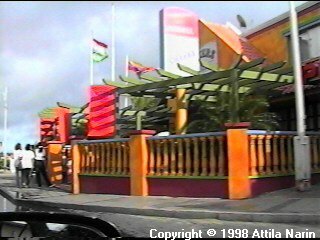 Curaçao also has Denny's, Apple Bees, etc. 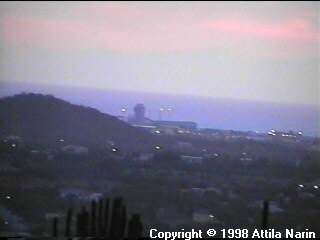 Aruba, in addition, has several Argentinian and Italian restaurants. Curaçao has several French and Dutch restaurants. Especially Curaçao has many snacks, after-hour mobile snack bars at the side of the street that offer a lot of food for little money. All three islands have a good selection of local food. In Curaçao, check out the Seaside Terrace next to the Princess Beach Hotel and Janchie's Restaurant out in Westpunt. In Aruba, check out the Papiamento Restaurant, and in Bonaire, Del Lanan. Personally, I enjoyed the quiet restaurants of Bonaire, at the same time, I like our regular local food places and snacks in Curaçao, and to satisfy the craving for American food, Aruba was the perfect place. Food The local food on all three islands is similar. People eat karko (conch meat), stoba (stewed goat or beef), Dradu (local Mahi-Mahi), lobster, funchi (corn food), plantains (fried bananas), and keshi-yena (filled cheese). 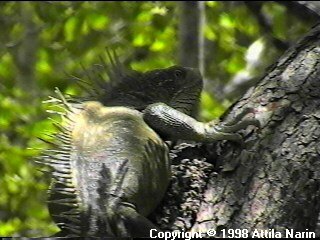 More exotic specialties are iguana soup or stew, and the flower of cactus trees. Bonaire and Curaçao have a hot sauce called Pika, which contains diced onions, vinegar, and hot peppers. Aruba has it's own version called Papaya Hot Sauce. Both sauces are very delicious and enhance local dishes. Ask for them when dining out. Music Curaçao probably has the richest music scene, with many local bands playing the typical rhythms of Latin America and the Caribbean. Aruba has more of a Calypso influence. Also, instead of the Curaçaoan Tumba Festival and Jump Ups to celebrate carnival, Aruba has a Calypso-style Road March. The main star of Aruba is Claudius Philips; he is a big influence on bands on all three islands. On Curaçao we have ERA Outentiko and Gio, and Bonaire is the home of Magic Sound. For dancing to live local music, there is probably no better place than Curaçao's Landhouse Brievengat. 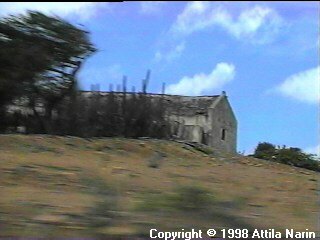 Landhouses Bonaire and Curaçao both have landhouses and with them a history of slavery. Many of these landhouses tell stories of their past to their visitors. 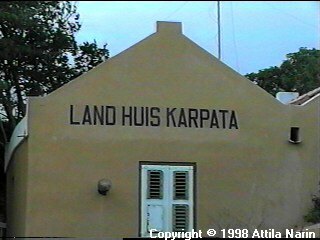 Curaçao's landhouses of interest, among others, are landhouse Chobolobo (where they make the Blue Curaçao) and landhouse Knip (a nice display of history). 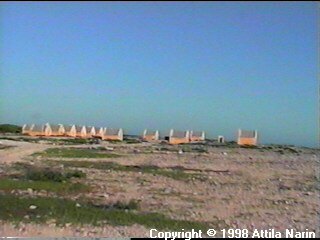 I'm not sure why Aruba doesn't have landhouses, but there may not have been a need for slaves and masters. 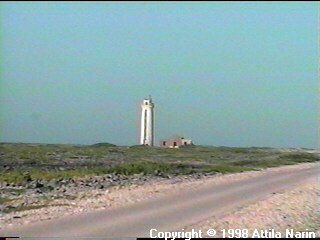 Bonaire, for example, had the salt pans, and Curaçao had plantations for slaves to work at. Hotels Aruba has the most hotels of all three islands. 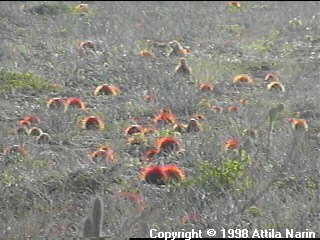 Just about all of them are located in an area called Hotel District on the north-western part of the island, close to Eagle Beach and the California Light House. They have high-rise hotels and low-rise hotels. Hotels in Aruba are tuned for tourists from the U.S. and Canada, and they are typically a little busier. Curaçao has many hotels as well, but there is not one single area for them. 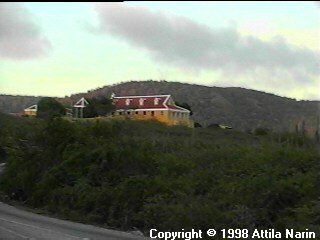 Some of them are located in downtown Willemstad, some by the Seaquarium, and other resorts are further away. 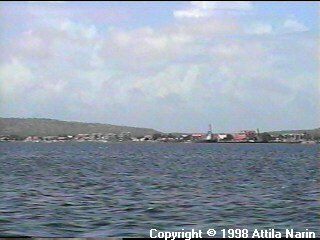 Bonaire, being small as it is, has a lot fewer hotels. Hotels there are typically calmer and with less people. Most hotels on all the islands, especially Bonaire and also Curaçao have their own dive operators. In terms of cost, hotels in Bonaire are a little more expensive than in Curaçao and Aruba. Service Aruba provides a service similar to the U.S. where people approach guests and customers in a very friendly way. People in Aruba seem to have realized that outstanding service is important for visitors. People in Curaçao are certainly not unfriendly, however, service, e.g. in restaurants can be slow at times and in stores the sales people are sometimes not as helpful as one may expect. This may have something to do with Antillean people being shy and afraid of leaving a bad impression, in addition to a more noticeable language barrier. 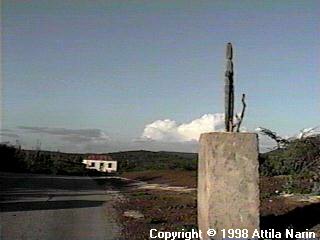 Bonaire, in that respect, is a lot closer to Aruba than it is to Curaçao. Cleanliness Overall, all three islands are very clean, especially hotels and tourist attractions. Bonaire has been doing an outstanding job of keeping the island clean and the environment protected. At some grocery stores, instead of giving piles of plastic bags to customers, recycled paper bags are available for 25c. People simply take some bags along when they go grocery shopping. Guests are asked to take some of the more hazardous waste (e.g. batteries) back to where they came from, since Bonaire doesn't have the facilities to recycle certain things properly. Aruba is similar to Bonaire when it comes to cleanliness, although Bonaire seems to have gone a little further. 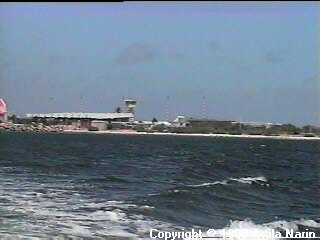 Aruba and Curaçao both have refineries; in Aruba it's located on the south-western tip of the island and its fumes are being blown out to sea immediately. Curaçao has the larger refinery, close to the harbor and its fumes are crossing parts of the island (depending on the direction of the wind: Piscadera, Palu Blanku, etc.). Driving out on some dirt or back streets in Curaçao, it's not uncommon to see garbage and junk laying around. However, many efforts are being made to keep all areas of Curaçao clean and chances are that a visitor will never see those areas. Shopping Shopping is great especially in Aruba and Curaçao, since they simply have more stores and a wider selection than Bonaire. However, Bonaire has some very nice stores in downtown Kralendijk. Curaçao seems to have some more variety in terms of Latin American and European articles. Aruba has more American style products. Curaçao doesn't have a mall and most stores that tourists are interested in are in downtown Willemstad, especially in Punda. To find a good bargain it's sometimes necessary to go from store to store and to dig around a little. Aruba has American-style malls with flashy displays in downtown Oranjestad, but prices there seem to be a little higher than in Curaçao. Money Although Aruba and the Netherlands Antilles have their own currency, US dollars are accepted on all three islands. For tourists that's probably the best form of payment. It can be brought from their home country, it avoids the hassle of having to change money, and most tourist places such as restaurants and stores will simply default to US dollars. 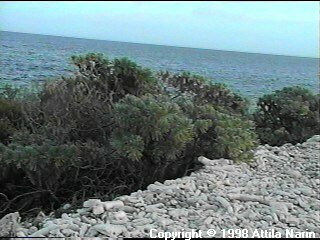 The currency on Bonaire and Curaçao is the NAF (Netherlands Antilles Florin) and the currency of Aruba is AFL (Aruba Florin). NAFs and AFLs are both also called "florin" or "guilders" and one US dollar is about 1.8 guilders or florins. Although NAF and AFL are worth about the same, changing from one to the other is usually not a good bargain. 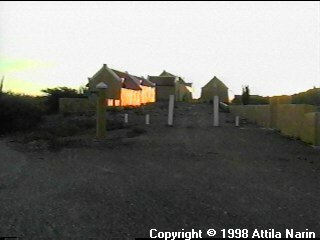 AFLs are typically not accepted in Curaçao or Bonaire, and NAFs are typically not accepted in Aruba. Entertainment Every island has it's own flavor of entertainment and night life. 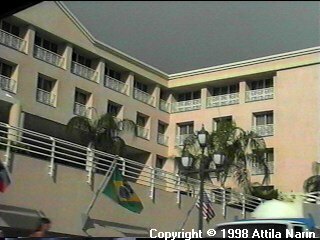 One of the favorites on all three islands are the casinos, typically found at major hotels. Hotels in Aruba offer many Las Vegas like shows, and several discos are located in downtown Oranjestad. At night there is always a lot happening. Curaçao has a few discos as well in Punda and Saliña. 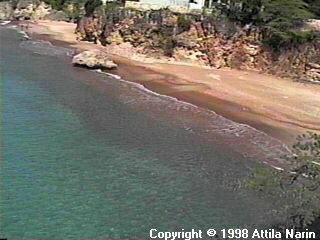 Some of the beaches may have activities at night as well, especially towards the weekend. On all three islands, hotels and restaurants schedule live music or other sorts of entertainment. Curaçao also has one unique place of entertainment: Landhouse Brievengat, known for local music, dancing, and other cultural activities. Due to its size, Bonaire probably has the least to offer in terms of night life. By the waterfront in Kralendijk are a few restaurants and places to hang out, but it's fairly small. Traffic and Roads Traffic on each island has its own character. Traffic moves on the right and international signs and rules apply. 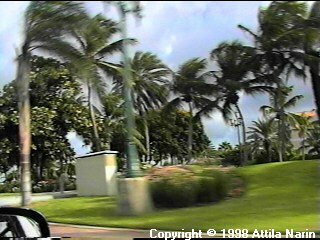 Aruba has wide streets and is similar to American traffic. Things are easy to find as there is one long street along the south-western coast of Aruba and mostly everything branches off it. 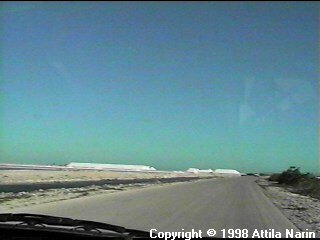 A substantial amount of streets on the north-eastern coast of Aruba are dirt roads. Compared to the other islands, Curaçao has a lot of traffic and also more streets. Some beaches are only accessible via dirt roads. 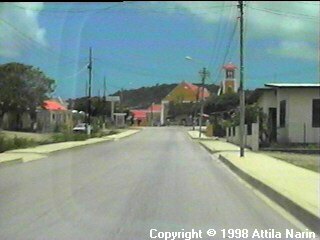 Bonaire has very little traffic, I don't think there is a single traffic light there. All three islands have their share of Dutch-style roundabouts. Rental cars are available with automatic transmission, but a manual transmission is probably more common. Watch out for wild goats and donkeys while driving! Utilities The water on all three islands is distilled sea water and makes delicious and clean drinking water. Electricity on Bonaire and Curaçao are a bit of a specialty with 127 volts and 50 cycles. 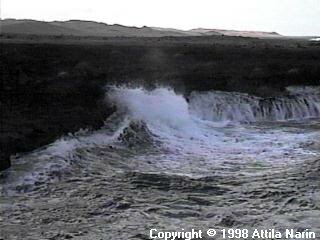 Aruba has the current that is common in the U.S., namely 110 volts and 60 cycles. The result is that transformers may burn out in Curaçao and Bonaire if used for an extended period of time. It's a good idea to make sure that equipment is compatible. Houses typically also have 220 volts for air conditioners etc. Stoves and ovens are typically operated by gas. Conclusion All three islands have beautiful beaches and weather, and a visit to either one would be an unforgettable experience. Aruba offers more of a party atmosphere, a noticeable American influence, big hotels, shopping, a vivid night life, but it has still retained its Caribbean character. Bonaire is a quiet place with an exciting underwater world and nature, perfect for relaxing and getting away from noise and stress. Curaçao has a good mixture of beach and nature, night life, culture, history, and shopping. All that said, it's really up to the reader to decide which island would be most appropriate for a visit. 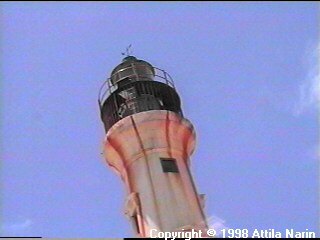 This page has been created in July, 1998 by Attila Narin <attila@narin.com> and was last updated on February 24, 2004. 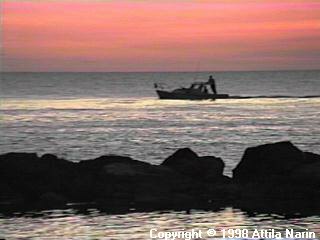 Copyright © 1998-2004 Attila Narin. All Rights Reserved.